The Dermatology Physician Assistant Fellowship Program at the Medical College of Wisconsin is a 12 month fellowship certificate program for NCCPA certified physician assistants. Our mission is to provide a comprehensive program to train the Physician Assistant Fellow by preparing them to practice in a variety of dermatology specific settings and assist in becoming a leader in the education and development of the next generation of advanced practice providers by imparting medical knowledge and clinical skills, while role modeling optimal interpersonal relationships. A certificate of completion will be awarded from the Medical College of Wisconsin Department of Dermatology. $50,000 with MCW benefit package. The mission of the Monmouth University Physician Assistant Program is to educate physician assistants to provide compassionate, patient-centered quality health care in a variety of settings. Program graduates will possess clinical skills to serve a diverse patient population and have the ability to advance the profession through leadership and research. The mission of the Physician Assistant Department (PAD) at the University of Texas – Pan American (UTPA) is to provide an advanced education to physician assistant students who are capable of rendering preventive and primary health care to the multicultural population of South Texas. 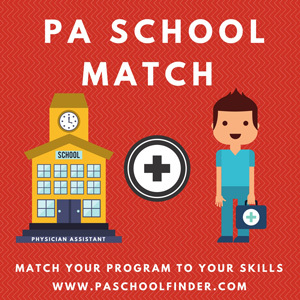 The PA program promotes the importance of lifelong learning and ongoing self-evaluation in its students. Our rigorous program immerses you in basic and clinical sciences as you prepare to participate in 13.5 months of clinical rotations in specialties such as emergency medicine, psychiatry, primary care, surgery, pediatrics, and women’s health. To develop citizens with the knowledge, skills, attitudes and commitment necessary to enter the practice of medicine as physician assistants and assume responsibility, with physician supervision, for the primary health care needs of their patients.